Together with Swedavia and the municipality of Sigtuna, we are leading the development of Airport City Stockholm. Our ambition is to create a meeting hub in the central parts of Scandinavia, where businesses and organisations can enjoy meeting, working and socializing. 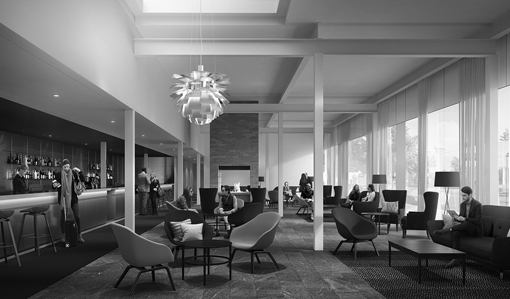 To maximize the area’s potential and to accomodate the increasing numbers of visitors to our venues, DRIVELAB Hotel is now open under the name FIRST Hotel Arlanda Airport. 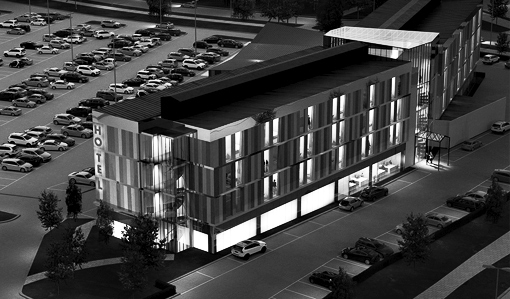 DRIVELAB Hotel (First Hotel Arlanda Airport) accommodates 150 rooms. The ground floor houses a spacious restaurant that can serve up to 200 guests at breakfast, lunch and dinner. The lounge area is also generously sized and includes a combined front and bar desk. It is a public living room with a wide variety of different furniture, where guests can enjoy working and socialising. The remaining meeting facilities are placed next to the lounge area, and are therefore suitable for smaller groups having coffee breaks. The lobby and the main entrance are placed between the restaurant and lounge area and thus, separates the dinner guests from the buzz generated from the bar. There are seven meeting rooms allocated on the ground floor. A wellness and fitness area is placed on the 2nd and 3rd floor. It is equipped with a large sauna.